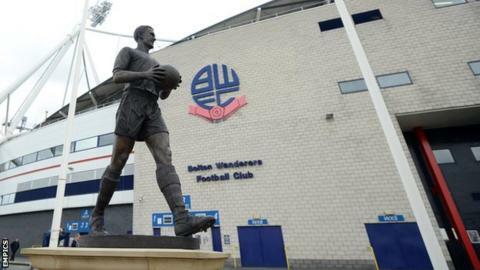 Financially troubled Bolton Wanderers should avoid administration, says manager Neil Lennon. The Championship's bottom side are speaking to a number of parties about a takeover from owner Eddie Davies. They were issued with a winding-up petition last week by Revenue & Customs and players were not paid in November. However, Lennon confirmed his playing squad would be paid their wages by 29 December with help from the Professional Footballers' Association. "They are due to be paid on the 29th and from what I gather they will get a percentage of the money and the rest will be made up by the PFA," Lennon told BBC Radio Manchester. "The senior staff are in the same boat and it's not ideal over Christmas and New Year, but they will get paid." With chairman Phil Gartside currently ill, financial advisor Trevor Birch has been brought in to try to ease a takeover of Wanderers, who are £172.9m in debt. Former Bolton striker Dean Holdsworth and ex-Trotters midfielder Stelios Giannakopoulos are leading two parties, but Lennon says there are others now interested. "There are new people coming in all the time," added the former Celtic boss. "Whether they are serious players or not, I don't know. "Trevor seemed pretty confident there would be no administration, which is obviously great news, and we can hopefully get something done next month in terms of a takeover. "It's been a difficult period for everyone involved with the club - I'm hoping we're not far away from something getting resolved in the next few weeks." Manchester man? What next for Mourinho? Read more on Jose Mourinho sacked: What next for the former Chelsea manager?